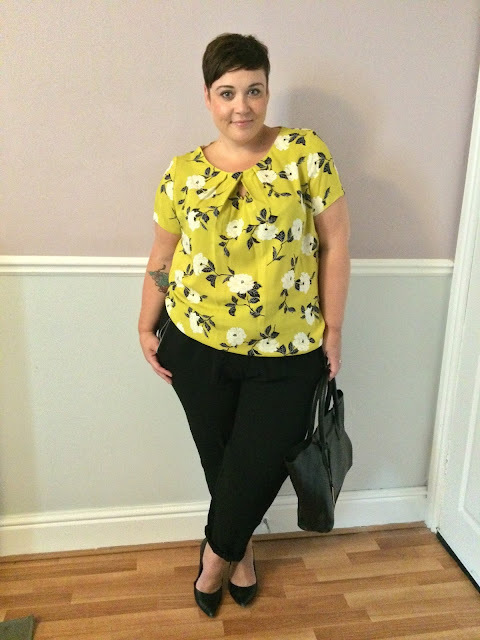 Style: Plus Size Fashion with M&Co. Now things are starting to move with freelance business (hooray!) I find myself in an unfamiliar position. I'm having to attend meetings and I haven't worn business wear for quite some years (around 5!) So when M&Co asked me to choose a piece from their Plus Size collection I decided to go for this lovely shell top. Again, apologies for the indoor pics, the weather has just been awful here! 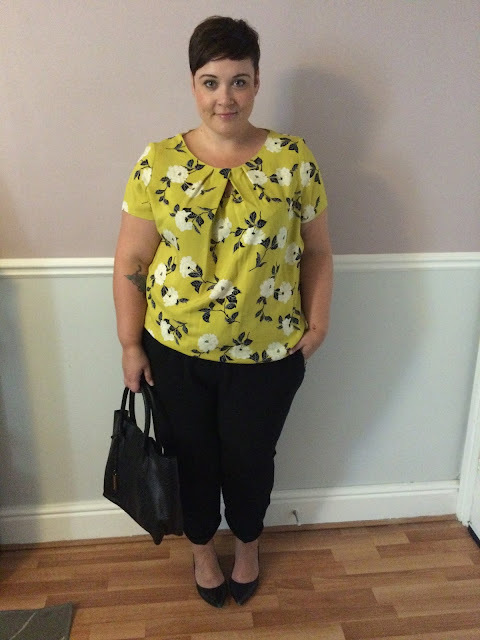 This lovely light cotton shell top is a gorgeous vibrant yellow, a colour along with green I don't see enough in plus size ranges. It's a really nice shape and the neckline is pleated with a little keyhole detail which is really pretty. I think this would look great with a pencil skirt or some high waist trousers too. The top is a woven cotton, so it doesn't have any stretch. I'm wearing the size 24 and it sits nicely on my waist/top of hips but it wouldn't even come close to going over my hips, so if you wanted more of a tunic look I would consider sizing up at least once if not twice. 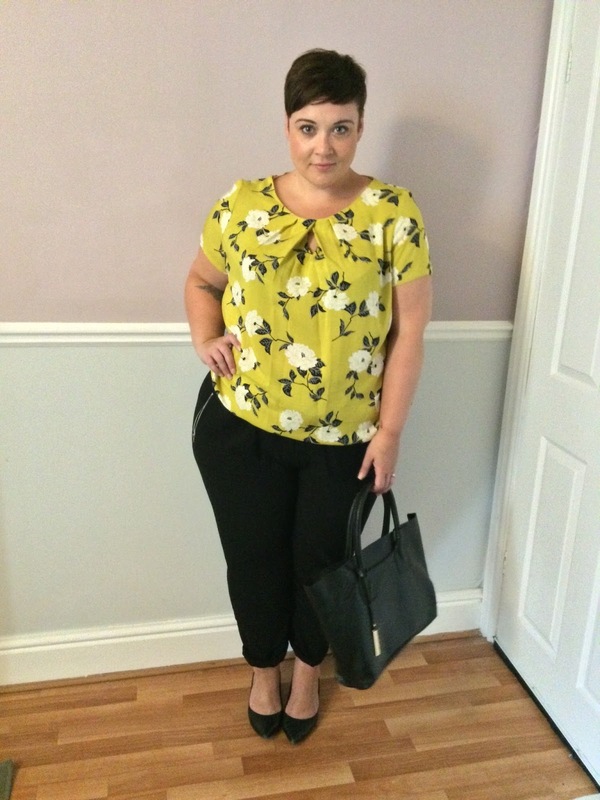 The quality is lovely though and the whole M&Co plus size range goes up to a 30, which is excellent.